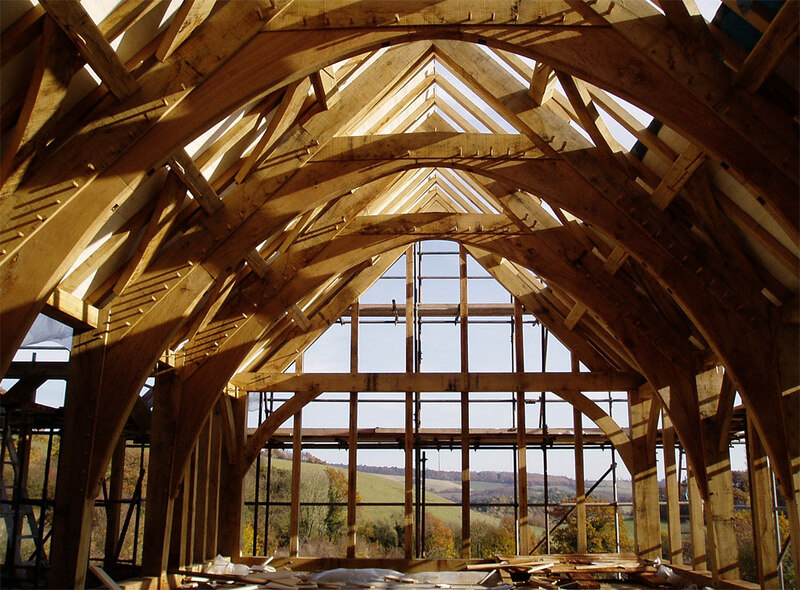 Oak Frameworks is a company based in South Wales specialising in the design and manufacture of hand-crafted timber frames. With our experienced team of carpenters we create individual frames of superb quality and excellent durability from sustainable sourced timber. All work is carried out using time honoured traditional methods. We design & build timber framed Houses, Extensions, Sunrooms, Garages and we are more than happy to discuss with you any specific requirements you may have. Oak is the predominantly used timber but Douglas Fir, Larch and Chestnut are excellent alternatives not only for a contemporary design but also a lower budgeted frame. Please feel free to call or contact us for an informal discussion of any requirements form the design to the building of a wide range of structures.